The Independent National Electoral Commission (INEC) does not have the full results of the highly controversial 2007 presidential election — and this is official. The presidential election held on April 21 that year is the first and only in Nigeria’s history in which there is no state-by-state breakdown of the candidates’ scores. Maurice Iwu, a professor and INEC chairman at the time, declared Umaru Musa Yar’Adau of the Peoples Democratic Party (PDP) with a figure of 24,638,063 votes without giving the detail. It remains the highest vote ever amassed by an individual in a single election in Nigeria. By comparison, Olusegun Obasanjo scored 18,738,154 to win in 1999 and 24,109,157 to be re-elected in 2003. In 2011, Goodluck Jonathan scored 22,495,187 while Muhammadu Buhari had 15,424,921 in 2015 to unseat him. Poll analysts and journalists have, for years, searched for a breakdown of the results in order to map voting trends in the fourth republic but have never been lucky. 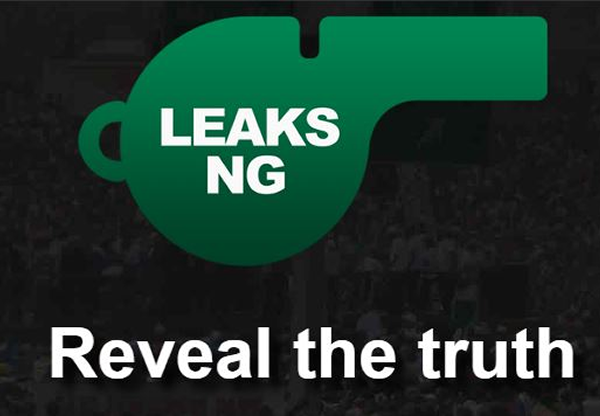 Ahead of the 2019 general election, TheCable decided to send a freedom of information request to the electoral umpire for a state-by-state breakdown of the 2007 presidential results. In the INEC response signed by Okechukwu Ndeche, acting secretary, the commission, said it is not in custody of the information requested for. “You can however obtain the information from INEC State Offices in all the 36 states and FCT,” he wrote in response to TheCable. This, ordinarily, is an in-house issue that would not require TheCable going to every state of the federation. The electoral commission always announces results state-by-state before declaring an overall winner. Previous efforts by TheCable to get the full results had been futile as INEC sources said they were not with the commission. However, snippets of results showed that in Rivers state, Yar’Adua scored 1.8 million votes while Atiku and Buhari polled a total of 109,000. In nearby Delta state, Yar’Adua received 1.2 million votes as against 42,000 for the other 17 parties. There were allegations, denied though, that INEC merely wrote the figures. Before the election, INEC’s conduct had come under intense criticism, with Iwu accused of being too partisan in favour of the ruling PDP. There were attempts by the electoral body to exempt Atiku Abubakar, who was vice-president to Obasanjo but had fallen out with him and defected to the Action Congress (part of today’s All Progressives Congress). INEC said it had printed 60 million ballot papers in South Africa and insisted that Atiku would not be on the ballot, having been indicted by a panel set up by Obasanjo to probe him over corruption allegations. The supreme court eventually ruled that an indictment can only be valid if it has been accepted by a court of law. It directed INEC to include Atiku on the ballot. Coming so close the election, the last-minute alteration and printing of ballot threw the election into commotion. Iwu had said, before the court ruling, that INEC had a Plan B if Atiku won his case, but there was a crisis in the end. But ballot papers did not arrive the country until the Friday before the election, and a military jet conveying the materials to some locations in Nigeria crashed, leading to fatalities. The ballot papers did not have serial numbers, which meant it was impossible to track how many people actually voted. Above all, it was alleged that only 30 per cent of the ballot papers were actually airlifted to Nigeria, meaning most people did not vote. Yet the figures announced by INEC were a record. The results were allegedly merely written — and this might have accounted for INEC’s failure to provide the full statistics. European Union observers described the election as not credible, citing poor election organisation, lack of transparency, significant evidence of fraud, voter disenfranchisement, violence and bias. “These elections have not lived up to the hopes and expectations of the Nigerian people and the process cannot be considered to have been credible,” chief EU observer Max van den Berg said. They described the election as “the worst they had ever seen anywhere in the world… with rampant vote rigging, violence, theft of ballot boxes and intimidation”. The US said the vote was “flawed” while a coalition of civil society observers called for cancellation. “The election was a charade. A democratic arrangement founded on such fraud can have no legitimacy,” the CSOs said. Obasanjo said the election could not be described as “perfect”. The beneficiary, Yar’Adua, admitted at his inauguration that the election was flawed. “We acknowledge that our elections had some shortcomings. Thankfully, we have well-established legal avenues of redress, and I urge anyone aggrieved to pursue them. I also believe that our experiences represent an opportunity to learn from our mistakes,” he said at his inauguration on May 29, 2007.